Sizzla has certain producers with whom he regularly works, and one of them is Anthony Senior of Altafaan Records. Senior founded Altafaan in 1996 – at the exact moment in history when Sizzla’s career and the Rasta Renaissance were taking off. Until very recently, the pair had yet to collaborate on a full length project, but that has changed with the June 16th release of Fought for Dis, though the new record features several tunes that fans may recognize from their previous work. Much More was first featured on the 2009 Altafaan juggling, Security Riddim, but Senior reworked it for Fought for Dis with epic results. The drums from the original were dropped completely from the intro, leaving a mellow, echoey framework propelled by saxophone and rhythm guitar. Other dubwise flourishes appear throughout the song, and the mix is much crisper than the previous version. Hearing how Senior honed this track over a period of 8 years is enlightening, and the intensity of the effort makes Much More stand out on Fought for Dis as one of the best. Fans may already be familiar with another song on Fought for Dis, Don’t Worry. Released in 2012 with an accompanying video, Don’t Worry is a collaboration between Sizzla, fellow Jamaican artist, Mark Wonder, and German reggae star, Gentleman. This combination is promising, and the rapid pace at which the singers share the mic – each taking just a few lines in each of the hooks and verses – creates an enticing energy. But even with such effort to share the spotlight as a team, the artists lack cohesion, leaving the listener feeling like there might be too many cooks in the kitchen. If each artist had more defined roles within the song, which is generally the standard for these kinds of collaborations, the track might have experienced an overall unity, but, as is, Don’t Worry seems uncertain of itself and so never really lives up to its full potential. There are several tracks on Fought for Dis with featured artists, and some are better than others. The best of the bunch is Happy for You, which features Sizzla’s fellow Rasta Renaissance man, Capleton, and the young dancehall star, Vershon, who has come to prominence in the Jamaican scene over the last few years. Coming from similar stock, it is always a pleasure to hear Capleton alongside Sizzla, and Happy for You is no exception. The real surprise is how well Vershon fits into the mix, adding a smooth contrast to these rough fire spitters. The riddim, a reggae/hip hop hybrid that presents as dubby G funk, is an ear-catcher, and especially so on an album firmly rooted in culture riddims. This slight musical detour is refreshing in the case of Happy for You, and it is likely to become the most prominent track from Fought for Dis, but a similar derivation with Freedom, which features hip hop artist, M1 Dead Prez, is less successful. Aside from a few really great tracks and perhaps one outstandingly bad one, a vast chunk of Fought for Dis is just mediocre – adequate, but highly forgettable. Tracks like The Children are The Future, Show More Love, Take My Breath Away are good for a listen or two, but in the vast sea of Sizzla’s work, they don’t float anywhere near the top. Jamaica, which features a mysterious new artist named Sugar Cane, will sink to the lowest depths of that sea, almost entirely because of Sugar Cane’s performance, which is amateurish at best. 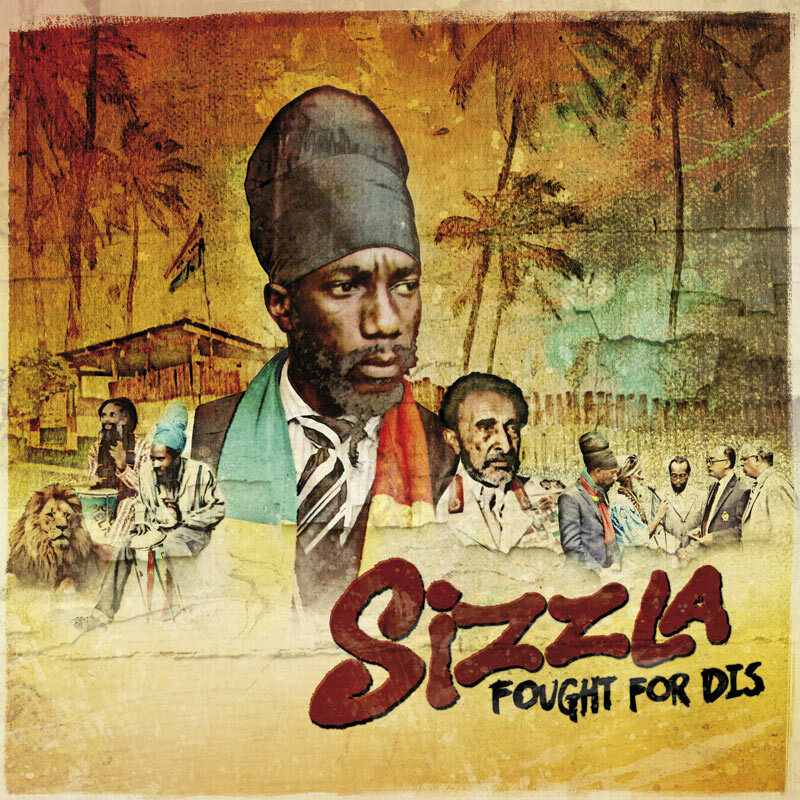 Even at his most unremarkable, Sizzla’s music is still preferable to that of many other artists, and the quality of the songs found on Fought for Dis is consistent with what is on the majority of his albums, which number well over 50. 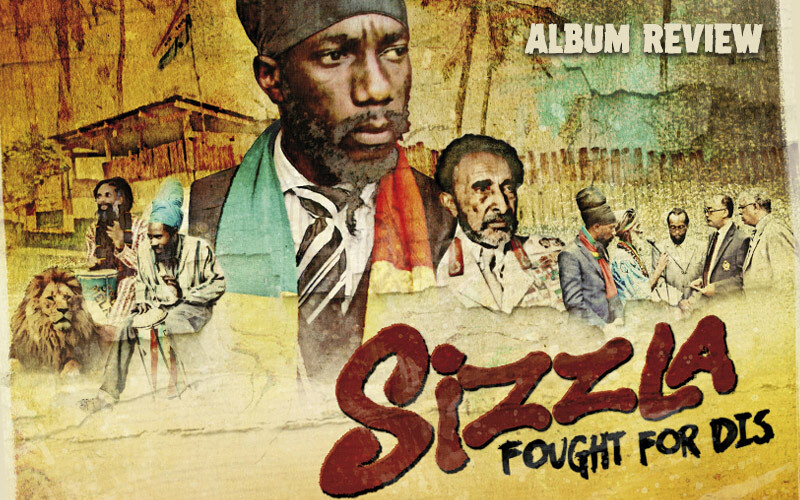 Sizzla is a true reggae icon – perhaps the most important artist to emerge in the last 25 years – and that reason alone is enough to give Fought for Dis a listen. It probably doesn’t contain Sizzla’s next big tune, but it is likely to have a vibe that will connect with almost anyone.